If you have been a Unity fan for all these years and looking for an alternative, it may be just right time to give KDE another shot. Many Ubuntu Vibes readers may know that I have been away from blogging for almost four years. In all these years I may have booted into a Linux distribution may be just once or twice as I was primarily using Windows. I have been out of Linux ecosystem for quite a while. However, I recently started using Linux again and when I tried KDE (Kubuntu 17.04) after all these years, I was extremely impressed. For a DE that I considered bloated, confusing and a big mess in 2013, turned out to be very polished and matured desktop in 2017. The bloat is nearly gone. 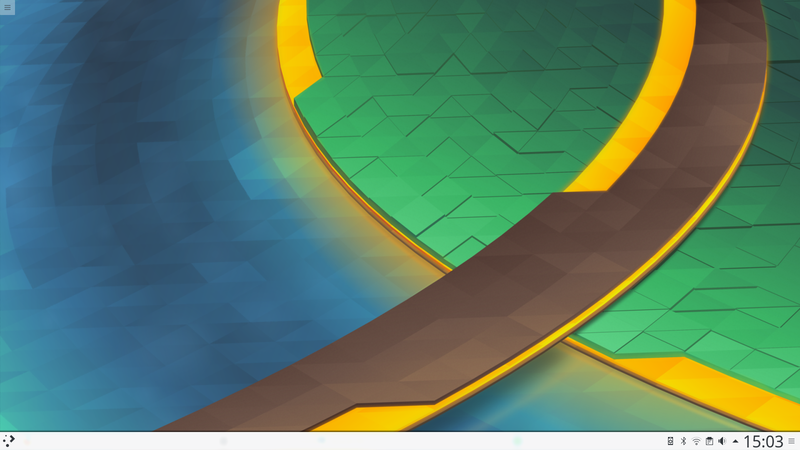 There are so many things to like about KDE today. The default "Breeze" artwork is clean, crisp and beautiful. KDE devs have done a great job in achieving a consistent look across Qt and GTK apps, which I have yet not seen in a Gnome based desktop. You can resize and re-position desktop panels according to your preference or have multiple panels, no third party extensions or "tweak tools" required. Dolphin file manager is hands down the best file manager I have used on Linux. You can customize almost every part of it to your taste but my favourite feature is its file manager services you can access by a right click. The stock selection of services on Kubuntu is very comprehensive but you can also download third party services and there are many interesting ones for power users on KDE store. Another feature which I like on KDE is its Touchpad options. You can tweak tap detection, pointer acceleration, scrolling sensitivity, coasting, corner taps and so on. The only setting missing is multi-touch gestures which I believe is a limitation of Synaptics driver used by default in Kubuntu. Also unlike Unity and Gnome Shell, KDE includes a toggle for "two finger horizontal scrolling" which I always turn off. Did I mention anything about "KDE Connect" yet? Free and open source software that shames most of the proprietary software out there that claim to provide smartphone-computer integration at a one time cost or paid subscriptions? Yes please. I also change Gamma and RGB values on my display and having a nice UI to change them is great. Kubuntu has lowest memory footprint among GNOME, Unity and KDE. After a fresh boot, Kubuntu eats up just 500 mb of RAM. While Ubuntu Gnome and Unity uses 1 GB and 1.2 GB respectively. The last but not the least is KDE suite of apps. I honestly believe many KDE apps are superior, feature packed and more configurable than Gnome apps. I particularly like Kate, Gwenview and Spectacle and using them is a pleasure. While everything sounds good, there are some annoying bugs/quirks in KDE as well. The Discover Software Center in KDE has not received as much love as other KDE apps. It freezes often and clicking on its window close button does nothing, you have to force close it. Scrolling in system settings automatically changes values of slider and dropdown lists which is quite annoying. Sometimes, system settings crashes when I change something in "Display and Monitor" category. The KDE file chooser appears after a good 5-6 seconds when I try to download or save something from web. However, I don't think these are major issues and sooner or later they will be resolved. Still not convinced yet, watch this excellent Plasma 5.9 presentation by KDE team.